The Fabulous smell of Juicy ripen Rasberries and the warmth of Valilla. 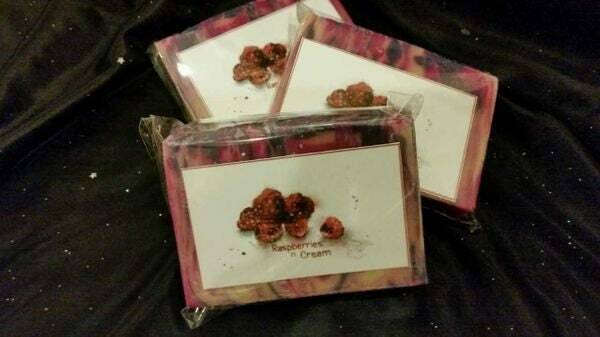 This is the scent of our Raspberries n cream Goats Milk Soap. 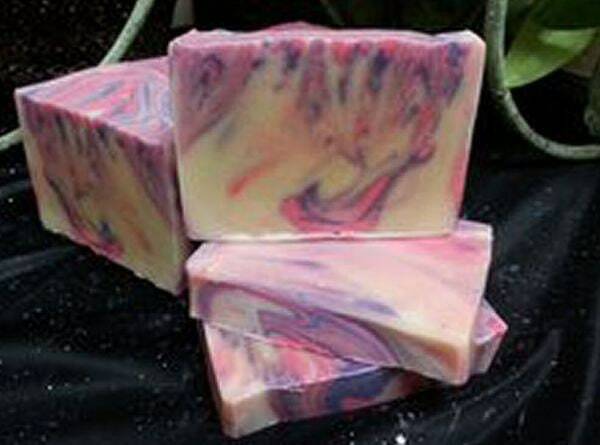 Made with Fresh Nubian Goats Milk, Olive Oil, Coconut oil, Palm oil, Shea Butter, Castor seed oil, and Palm Kernal oil. Made the cold process way, sure time 3 plus weeks, hand crafted hand cut, and this batch is ready for sale.